When your Uber ride request is first accepted, you're instantly shown pertinent information including the driver's name and a photo of his or her face. More importantly, key details about the vehicle such as make, model and license plate number are also provided. If you're being picked up in a not-so-crowded area, this is usually enough to easily identify the correct automobile upon arrival. This isn't always the case in high-trafficked areas with lots of ride-sharing cars and taxis milling about, however. It's not always easy to check the license plate of multiple vehicles in the dark, and to make matters worse many Uber drivers tend to have similar models. It can be especially tricky outside of concert venues or sporting events, as well as in front of busy hotels and airports. To combat these inconvenient situations, Uber has created a device called Beacon that makes it a lot simpler to pinpoint the car that you're supposed to be getting into. Utilizing color-pairing technology to help riders select the right one quickly, the Bluetooth-enabled Beacon device is placed behind a driver's windshield and features the easily recognizable Uber app logo. The Beacon glows brightly in the specific color that the rider chooses within the app, causing it to stand out even when idling in a long line of similar-looking cars. If the driver you've been paired with has an Uber Beacon on their dashboard, the app will ask you to set a color. A selector interface will appear, prompting you to drag the slider across an array of available colors until you find the desired option. At this point, Uber recommends holding your phone up while you look for the car so that the driver will also see the matching color and can call out to you if needed. If you return to the selector and modify the color for any reason, that change will automatically be reflected on the driver's Beacon as well. It should be noted that not all Uber drivers have Beacon and at the time of publication, this service was only available in a limited number of cities. 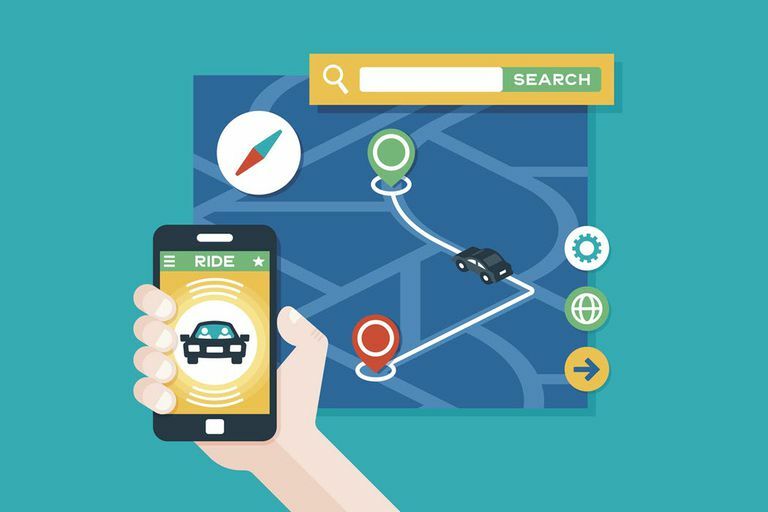 Another feature that Uber has released to make it easier for drivers to connect with riders quicker is live location sharing. Although you are required to submit an address when requesting a ride, specific pickup locations are sometimes tough to find when you're in a busy public place. This usually results in some type of delay and prompts one or more phone calls or text messages between rider and driver. With live location sharing, the driver can easily determine your exact location through their app interface. This functionality is not enabled by default and therefore requires some manual intervention on the rider's part if they wish to activate it. After a pickup has been initiated, you'll notice a grey icon in the bottom right-hand corner of the screen. Tap this icon until a message pops up labeled Show drivers your live location. Select the CONFIRM button at this point. A new icon should now be displayed in the lower right-hand corner of your map, notating that your live location is being shared. To disable this feature at any time, simply tap on this icon and follow the subsequent prompts. You can also toggle live location sharing off and on via Settings -> Privacy Settings -> Location -> Share Live Location from Uber's main menu.